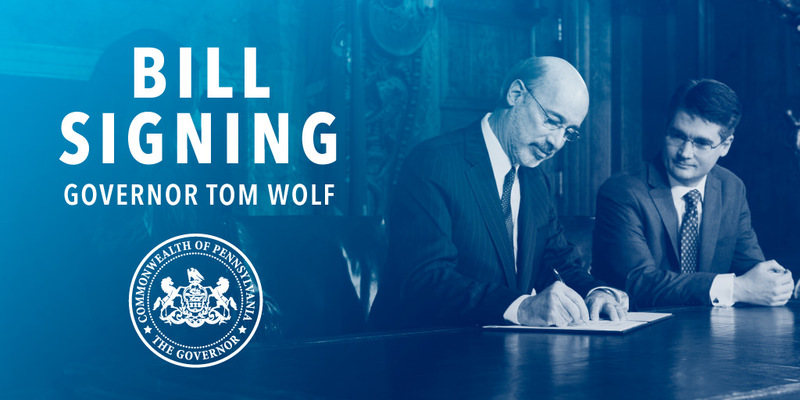 Harrisburg, PA – Today, Governor Wolf was joined by legislators to sign a historic liquor reform bill that will enhance the customer experience by providing greater convenience and satisfaction. Removes Sunday restrictions and state-mandated holidays. Enhances customer loyalty programs and opens up coupons at state stores. Provides options for flexible pricing to allow state stores to offer special discounts and sales. Allows restaurants and hotels to sell up to four bottles of wine for take-out. Allows grocery stores that currently sell beer to sell up to four bottles of wine. Allows for direct shipments of wine to people’s homes. And makes permanent gas stations’ ability to sell 6 packs. All of these improvements will enhance the customer experience by providing greater convenience and satisfaction and increase much-needed revenue to help balance our budget.